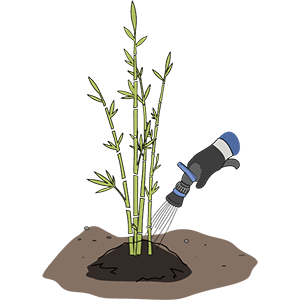 Planting bamboo is also easy. 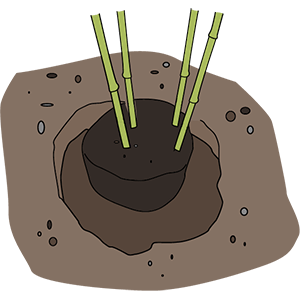 Handle the bamboo by the root ball instead of the canes to avoid putting stress on the plant. You want to dig a hole about twice the width of the root ball to allow room for soil amendment. 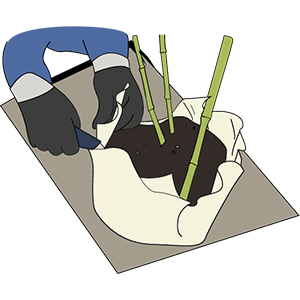 When installing the bamboo, position the root ball where it is even with the existing ground. Use composted manure and a good top soil to fill back in around the root ball. Bamboo is not a picky about soil conditions but a little organics will help get it off to a great start. Follow these detailed steps and you will soon have a beautiful grove with thick canes and foliage. Please always use care and caution when working with tools. You will need: Composted manure, knife or scissors, shovel, bamboo plant(s), and mulch. Use knife or scissors to remove all layers. Pull packaging from plant to expose root mass. 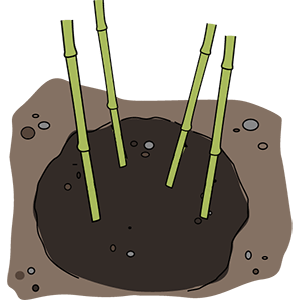 Dig your hole to plant the bamboo. Hole should be about twice the size of the bamboo. It is best to position the top of root ball at the soil level. 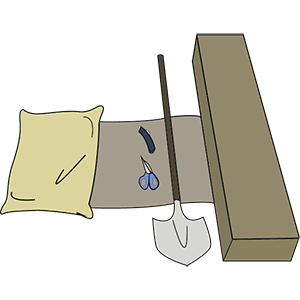 Use composted manure mixed with original soil to bury. Water heavily to help remove any air pockets. Replace any top soil that has settled from the watering. 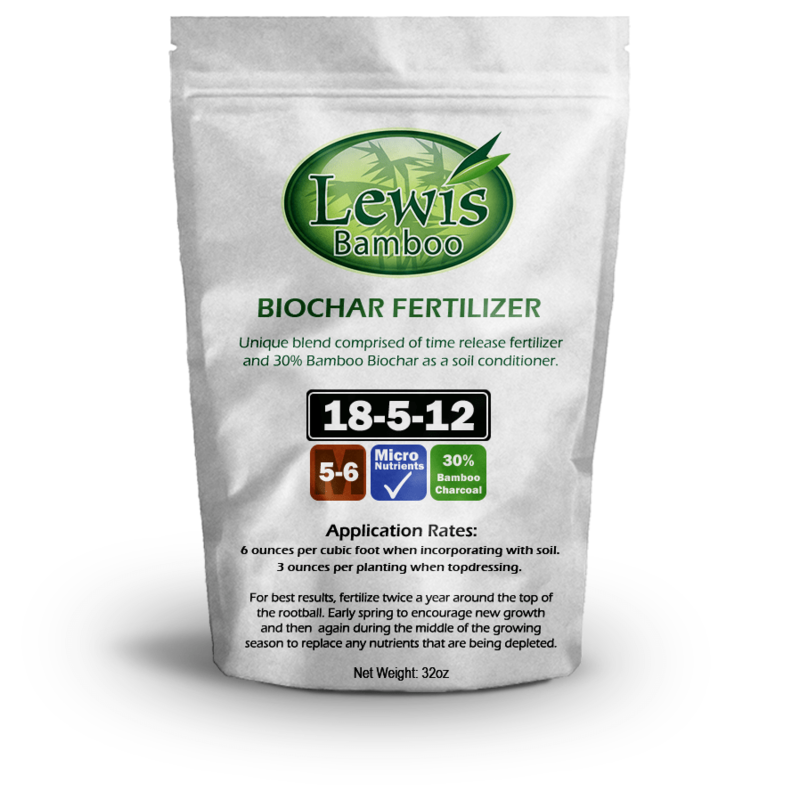 fertilizer page for recommended products.